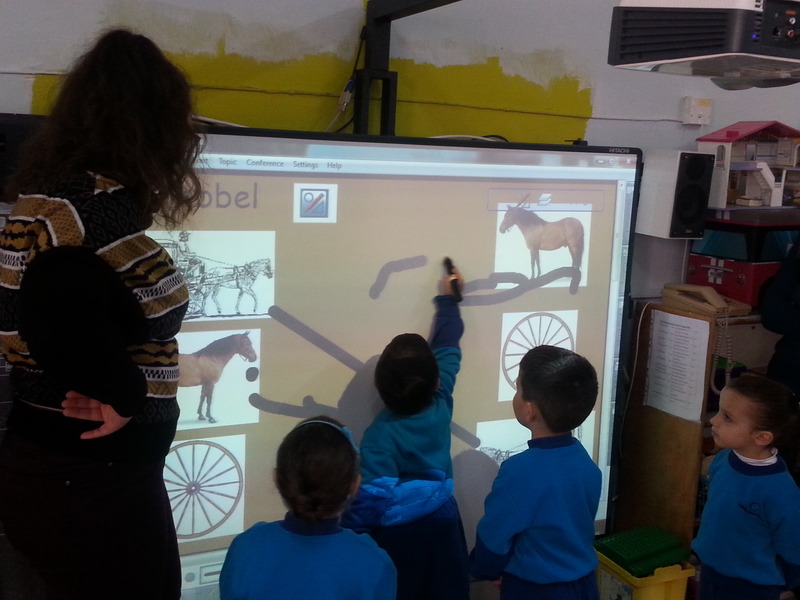 Kindergarten pupils working on interactive activities for the topic ‘The Maltese Folklore’ during Digital Literacy Week’. 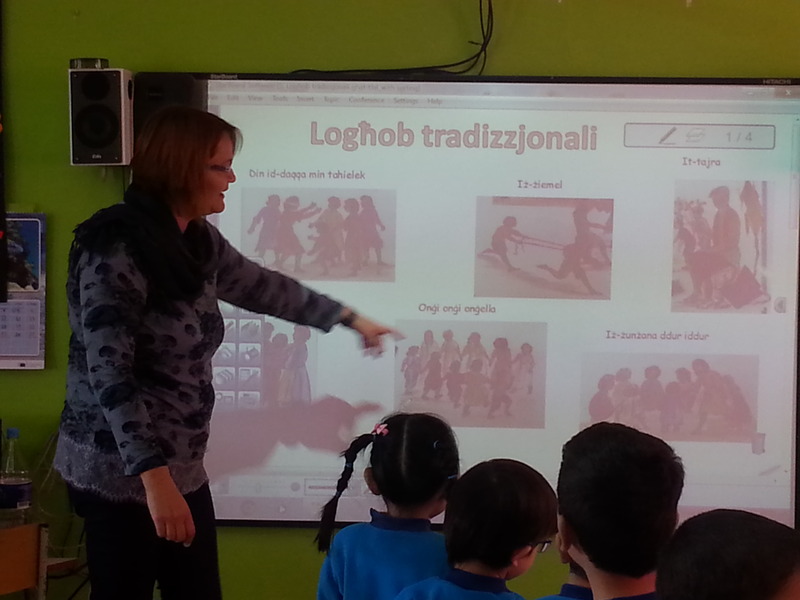 Sta Venera Primary, St Theresa College organised Merit Week on the topic ‘The Maltese Folklore’. 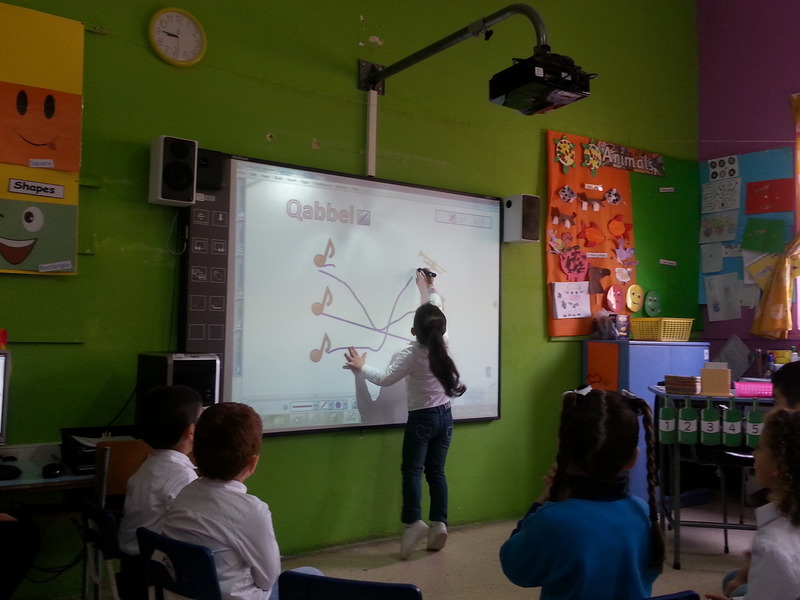 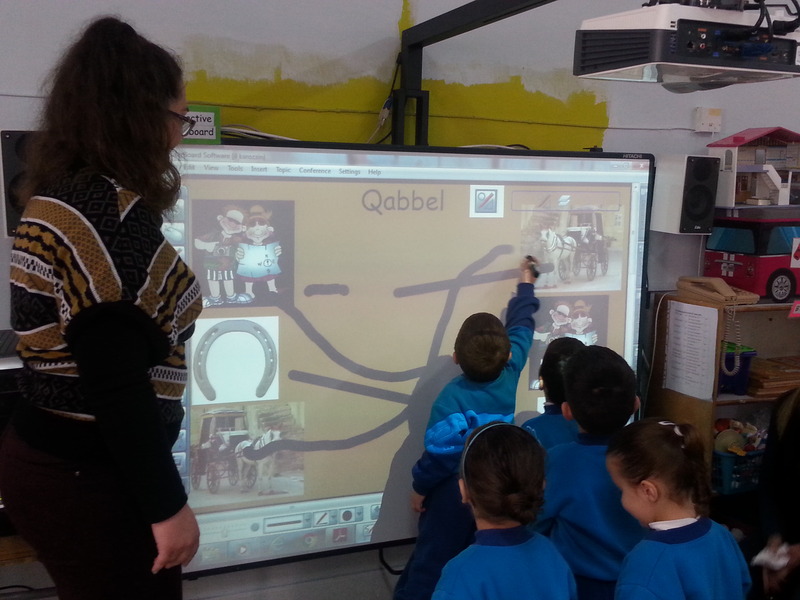 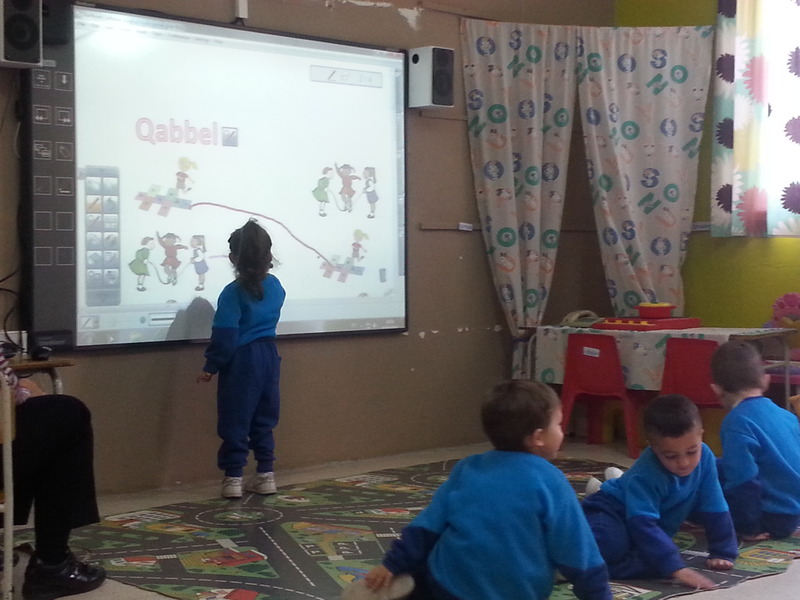 The Kindergarten classes of the school decided to integrate the past with the present using technology to introduce the topic and to create interactive activities on the IWB. 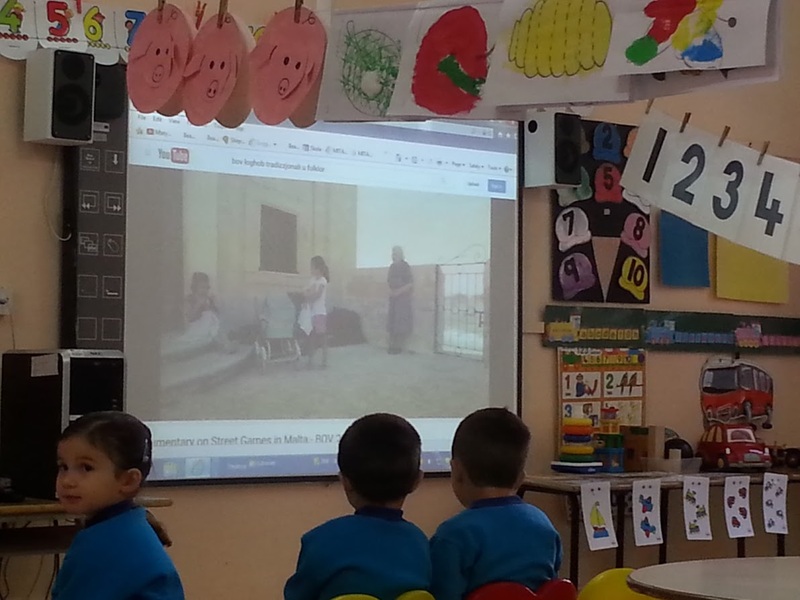 Pupils were shown videos, powerpoints, and big books (created using powerpoint) about Maltese Folklore. 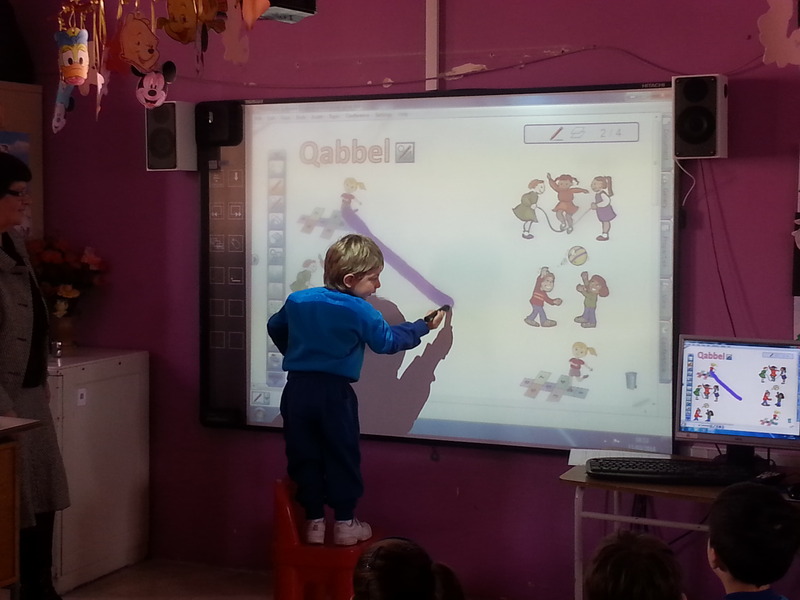 Various interactive games were also created for the IWB for the pupils to play on during the day. 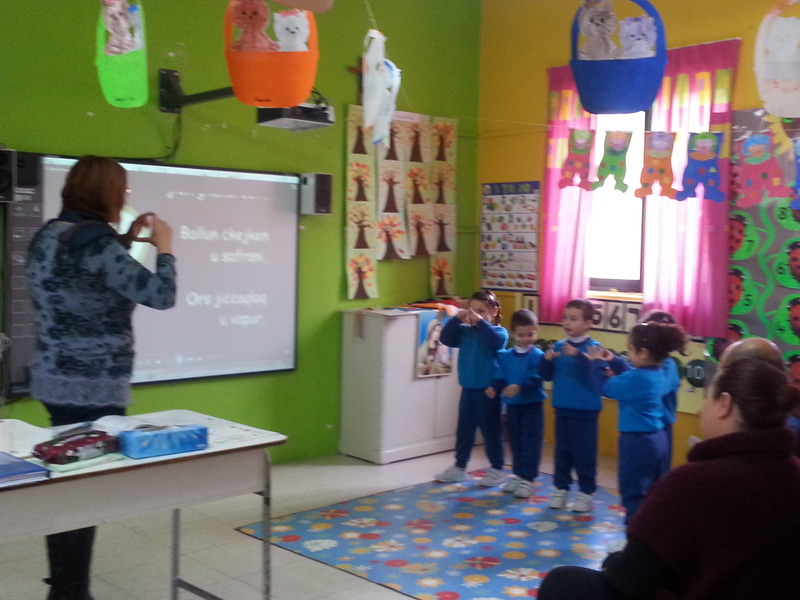 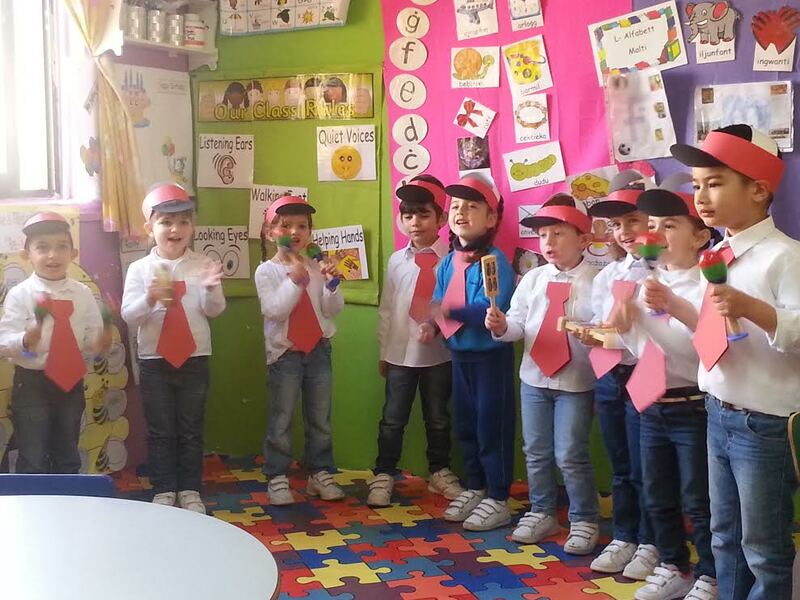 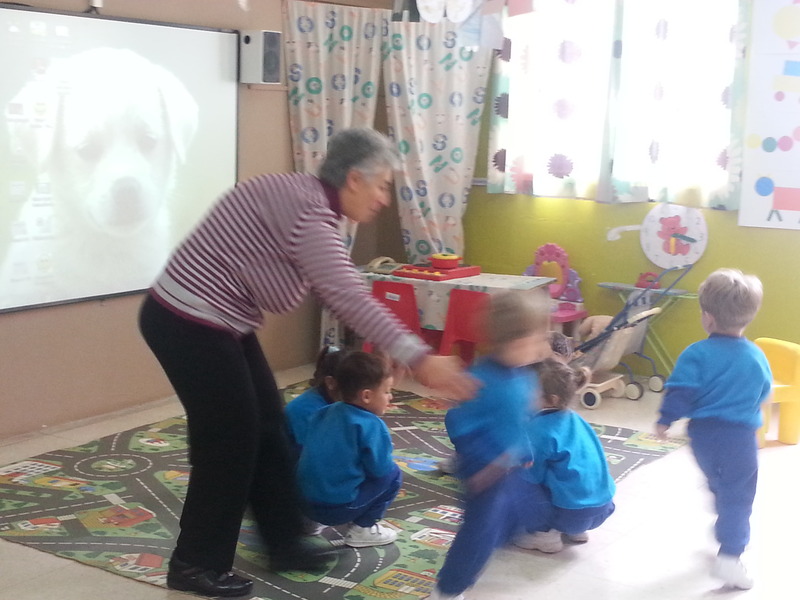 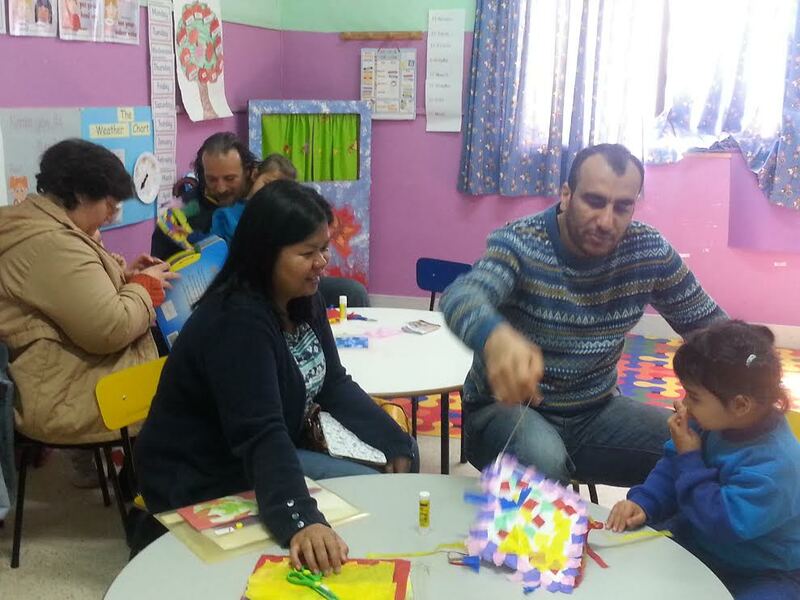 The games and songs were then played and sung in the classroom together with the parents who were invited to visit to the school. 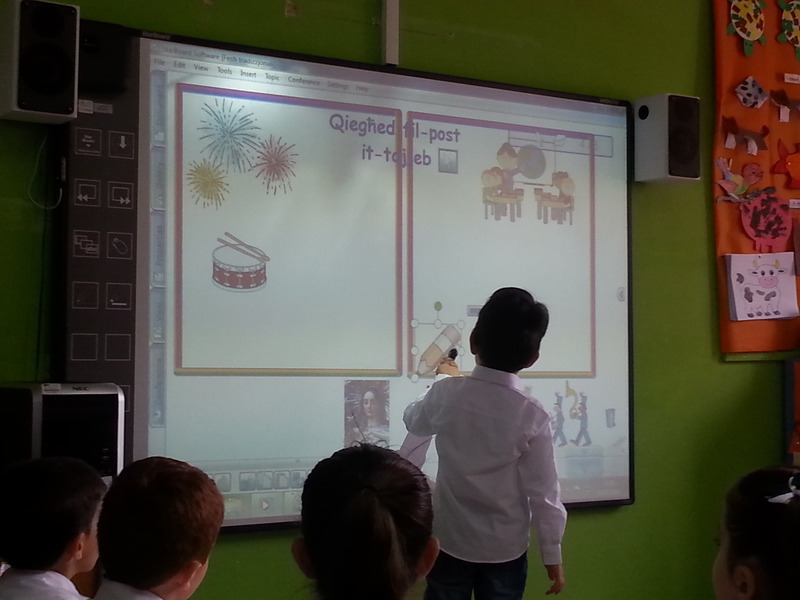 Published on May 8, 2013 in Kindergarten 1 and Kindergarten 2. 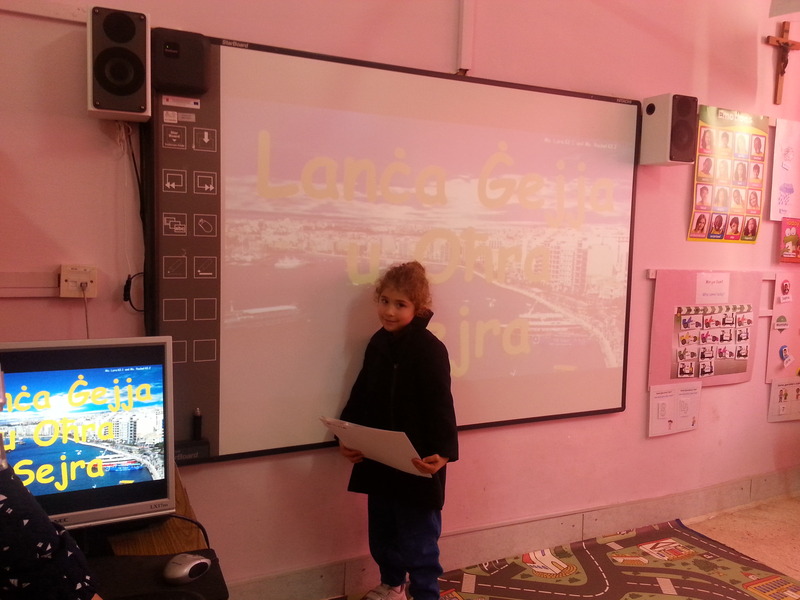 0 Comments Tags: KG1, KG2.